If you’re a new mum or mum-to-be, you’ve probably signed up to Emma’s Diary and collected your free goody bags. 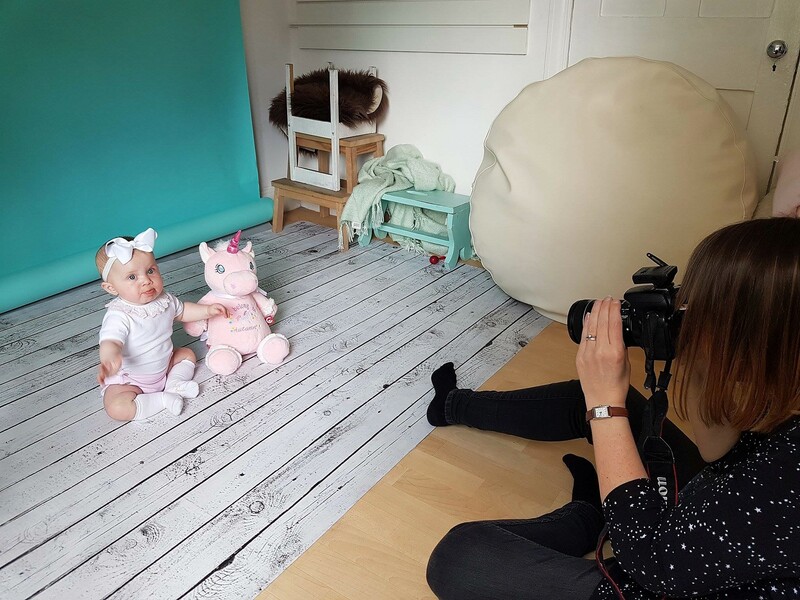 You may also have heard of their Emma’s Diary photo sessions and Baby of the Month competition. When the opportunity arose to go to our nearest participating photographer and try it out, I couldn’t resist. 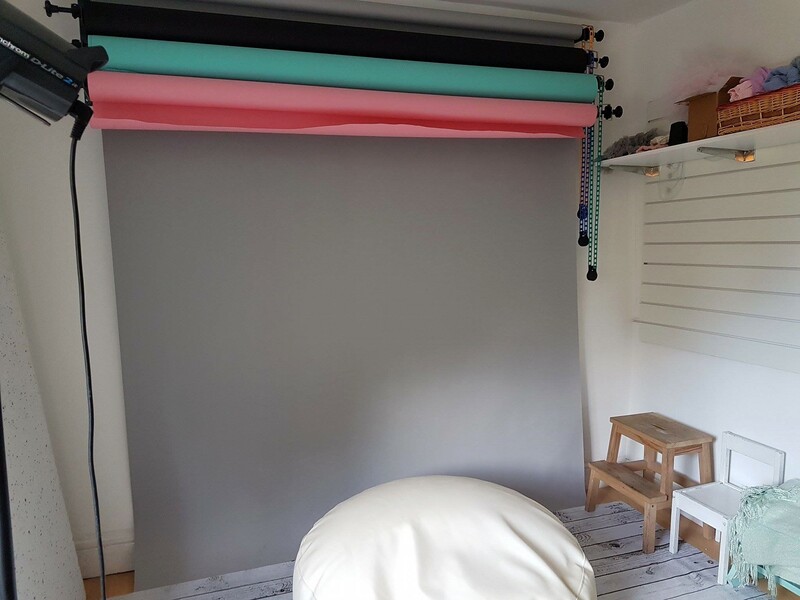 Our local studio was Love Lane Photography in Rochester, Kent, although they have locations all over the UK . Excitedly, I rang them up and we scheduled a time and day. I had been wondering what Autumn should wear. Catherine, the photographer, suggested that we brought a few outfits and toys for Autumn. It was also recommended that Dave and I wear black, to really make Autumn’s little face really ‘pop’ in the black and white photos. Likewise, the outfits shouldn’t be too ‘busy’, so as not to distract from her. 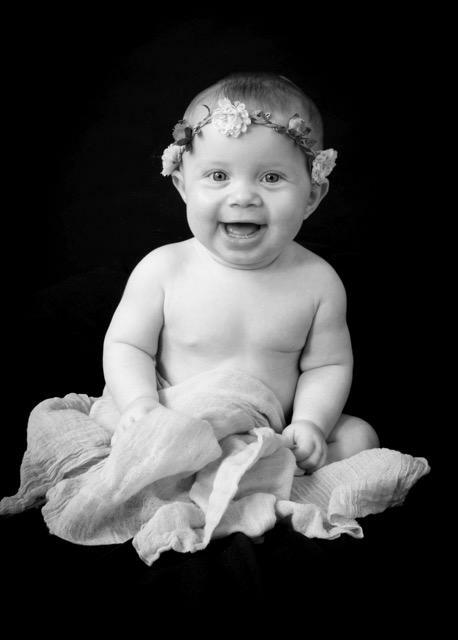 Apparently 7 months old is a really good age for babies to be photographed! 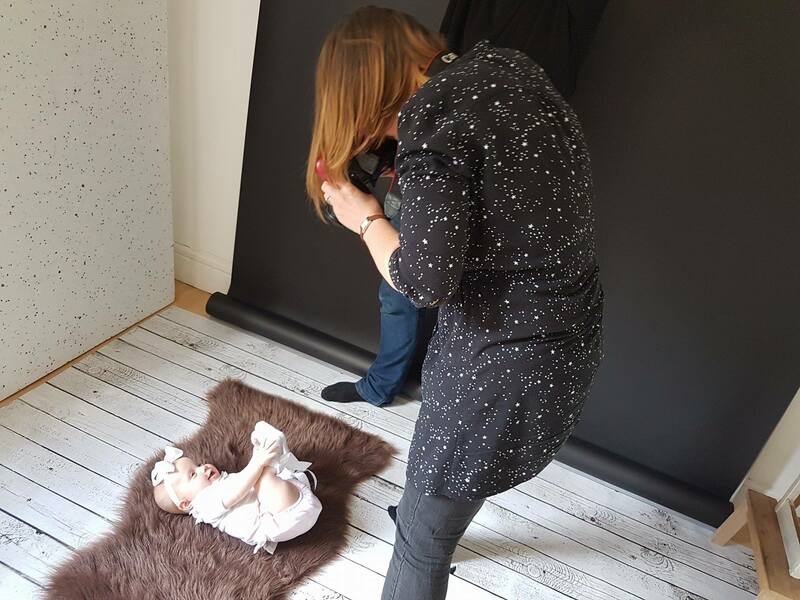 The photo shoot was worth £170 and lasts an hour. You also get a viewing session where you can choose photos and another appointment to collect the photos and a photographic gift. You also get an entry into the Baby of the Month competition! They’re not this little for long, so it’s lovely to have beautiful photos that you can display in your home and look back on for years to come. Catherine and her studio were wonderful. We were instantly made to feel comfortable. Autumn took to Catherine very quickly and the funny noises she made at her, smiling for the camera. Of course, Dave waving my alpacasso behind her head helped too! 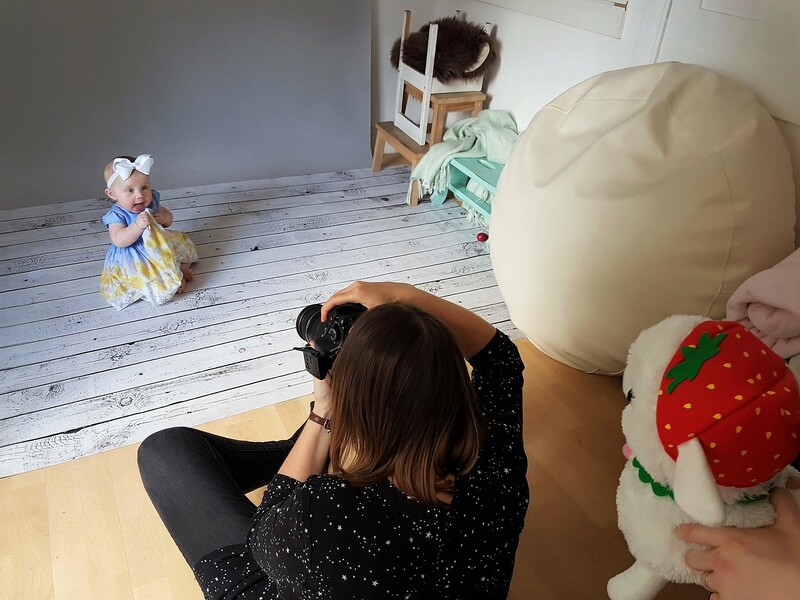 Autumn decided that she wanted to eat her dress during her photoshoot! 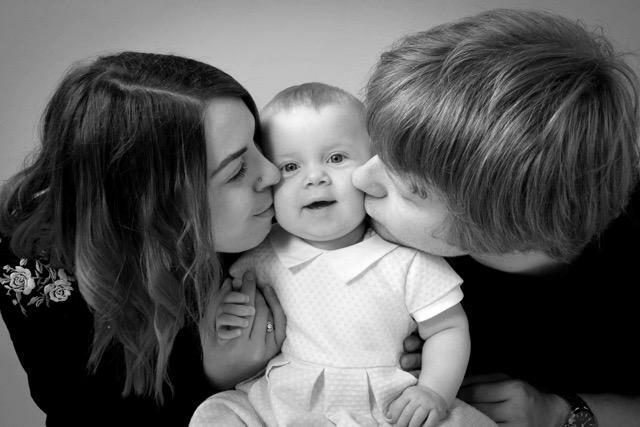 We had photos taken of Dave and I with Autumn, both individually and as a family. Autumn looked so cute in the floral headband that Catherine put on her! However, you don’t have to have family photos taken if you don’t want to. In fact, the vast majority of photos taken were of Autumn on her own. Most of the toys we brought along were also incorporated into the pictures. Autumn was very well behaved! Along the way, she had several outfit changes and was photographed in various ways; sitting, standing with help from us and laying down. We were able to make an appointment to view the photos a week after the photo shoot. I couldn’t wait and was very excited! When we arrived, Autumn was asleep, which allowed us to have a proper look. A slideshow of the (unedited) images was projected onto the screen, with “All of me” by John Legend playing. I’m not usually someone who gets emotional about things easily, but I got quite tearful at one point and clasped Dave’s hand. The photos were just so gorgeous! 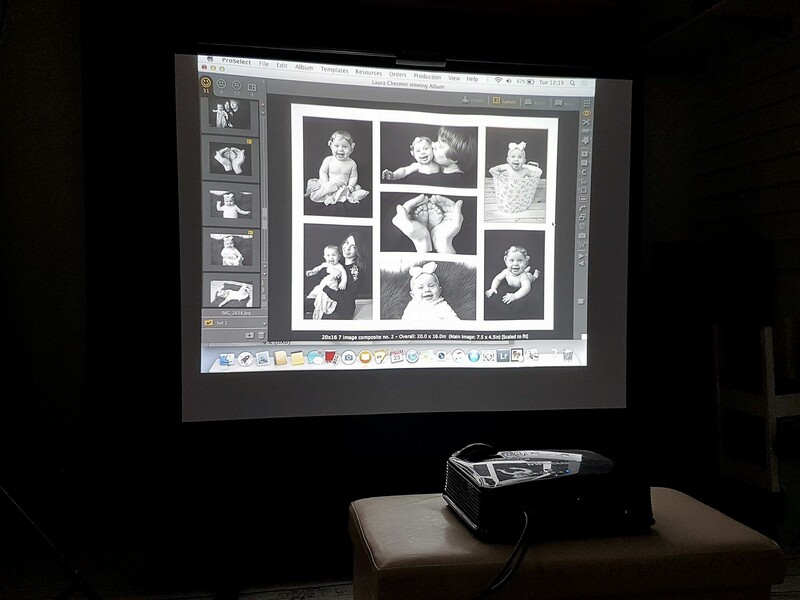 We loved going to the studio to view the slideshow! I can’t stop looking at them, they’re just so beautiful! 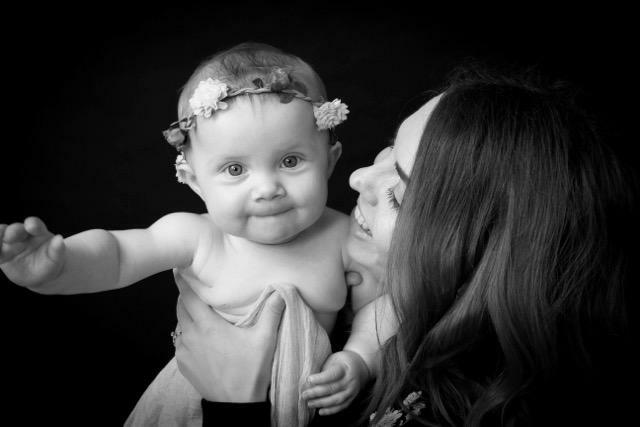 Catherine and her camera have created some gorgeous memories that will be sure to be treasured by our family for years to come. We can’t wait to collect them and display them in our home. Disclosure: This review is a collaborative post with Emma’s Diary. I received a photo session and photo gift free of charge for the purpose of this review. All opinions expressed are honest and my own. This is really cute. Fantastic pictures too. Oh, that’s wonderful! It’s a shame about the portrait though. 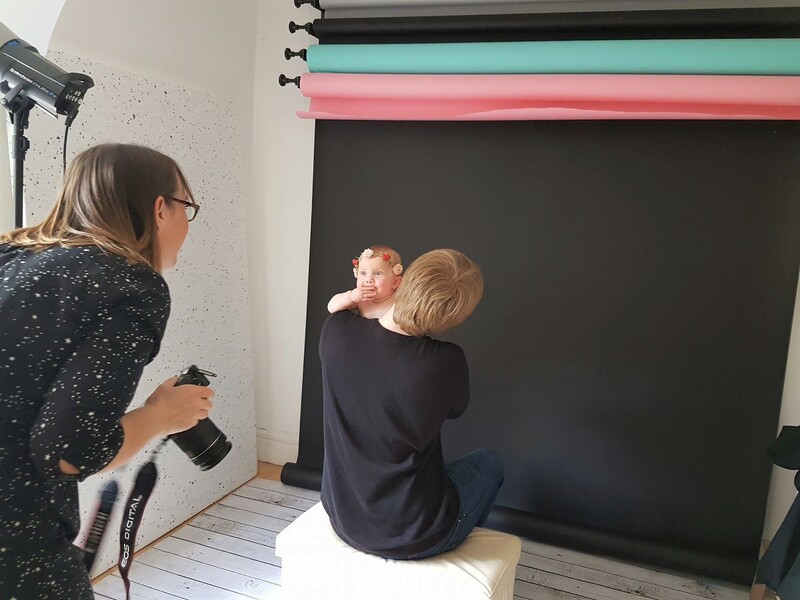 Absolutely lovely photographs, what a great way to get your images out there (asking a Mummy Blogger to review). Crummy Mummy recently posted…Kaya mum jewellery review & giveaway!